Sentry Industries supplies consumer electronics to all avenues of trade, including some of the largest mass merchants in the world, Department Stores, Truck Stops, Supermarkets, Drug Stores, Catalogs, Variety Stores, and Distributors. Premium accounts, Fundraising, and other special markets are also successfully supplied under the Sentry brand as well as under private label. Sentry is an excellent vendor partner to work with. All orders are important no matter how small or large. Sentry prides itself on keeping a large inventory on hand, shipping on time and accurately, and maintaining great long-term relationships with accounts. Sentry Industries, Inc. Is a consumer electronic company that started in 1962. It was initially owned by Berkey Photo and operated as a division of Keystone Camera Group. Sentry’s product line started with film, photo accessories, blank reel-to-reel, as well as pre-recorded reel-to-reel tape. As Sentry grew, the company began to market new products, such as Four and Eight track prerecorded tapes and tape players. When Philips first introduced the cassette format, Sentry Industries was the second company in the United States to sell cassettes. Sentry successfully supplied electronic, photo and music industries throughout the United States. Sentry was re-acquired and became a privately held company. At that time, the company primarily sold pre-recorded tapes, blank tapes, tape players, and accessories. The Sentry brand of tape accessories was sold throughout the United States and expanded into export sales that were successful worldwide. The company successfully moved into other product lines such as headphones. At this time, the accessories line was greatly expanded into other categories as well, such as media cleaners and media storage. Sentry began developing a strong, successful line of calculators that grew from three to twenty-five models. Sentry calculators are now sold through various types of retail outlets and generate strong back to school sales. Throughout the 90's, the company expanded its line to include clock radios, small electronics, and products targeted for dollar stores. Sentry continued to achieve growth by expanding into CD products and accessories, additional media storage and other innovative personal electronics like shower radios. It was during this time that flashlights were introduced to the product line as well. As a member of the company for 25 years, Daniel Rosen took over ownership of Sentry Industries in 2004, and he had a vision for Sentry. He knew it was time to refocus the core of the company and give the line a new modern look. Everything from the company logo, to the packaging, products, website, and catalog were entirely remodeled and the company was also relocated to a new home, their headquarters in Hillburn New York. During this time, headphones and ear-buds would play a more predominant role in the product line. Wireless headphones and portable speakers were introduced to accommodate the MP3 and digital music era. The company experienced amazing growth thanks to these many changes and Sentry was proud to be recognized as one of the strongest suppliers in the industry.This improvement in the quality and packaging, as well as staying ahead of industry trends, met rave reviews at the International Consumer Electronics Show (CES) in Las Vegas. Sentry opened a showroom in East Kowloon, Hong Kong, which made it possible to expand international sales and take on large private label opportunities with direct import accounts. Due to this rapidly growing success, in 2010, it was time for Sentry to display the product line at the Hong Kong Electronics Fair. International sales have now reached an all-time high for the company and the brand is getting worldwide recognition. Sentry is one of the largest headphone companies in the world. It is a recognized supplier in the United States and abroad. It markets hundreds of types of promotional, mid-priced headphones and ear buds, as well as electronic accessories. Outstanding packaging and our exclusive product design have become Sentry's trademark and one of the keys to our success. The company's goal has been to offer a diversified line of highly promotable products that are both value and price driven. Currently, many new products have been taken on, primarily in the headphone and earbud categories, and new innovative marketing strategies have been implemented. The company is still expanding and now consists of an excellent team of executives, support staff, sales managers, sales people, and an in house art department. Sentry Industries has the capacity to handle the volume our customers demand. 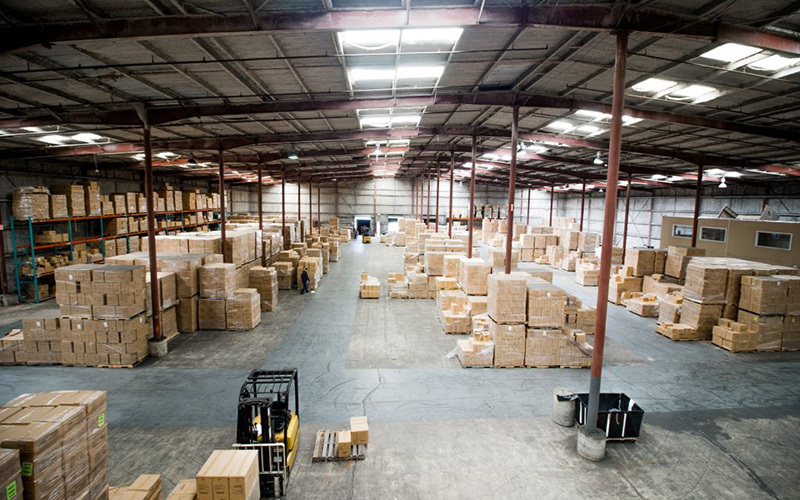 Our New York based warehouse and office building is staffed to take and deliver orders of every size, big and small. Our logistics team ensures that your order is always on time. Our sales representatives are here to assist you with any questions.